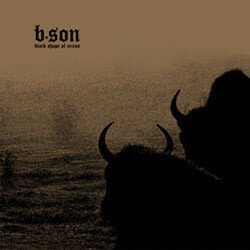 As much as we love us some ultra doom, some seriously sick slowness, you know, that doooooom, that is so glacial, that the songs begin to crumble and ooze into viscous black pools. We do. But sometimes we just want our doom to ROCK. Sounds contrary but it&apos;s been known to happen. Doom can be slow and low and still rock. Take B.Son for example. Whose particular brand of doomic energy is drawn from bands like Harvey Milk, Karp, The Melvins, godheadSilo, more a sort of downtuned propulsive sludge with doom elements, than pure doom. But goddamn if it isn&apos;t just as brutal and heck, doomy... 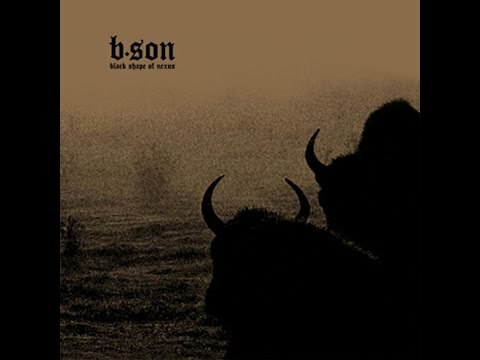 Thick ropy buzzbass, pounding destructo drums, throaty howls, grinding guitars, all lurching and swaying like some drugged and demented superrock doombeast, all filtered through a bit of grinding screamo and some buzzed out metallic blackness. There are moments of blisssed out post rockiness, and weird laid back grooves, stretched out near ambience and dense little mathy jams, but those moments just serve to keep the doomed sludge rock fury from becoming too much. Produced by James Plotkin. Spiffy black and gold sleeves.